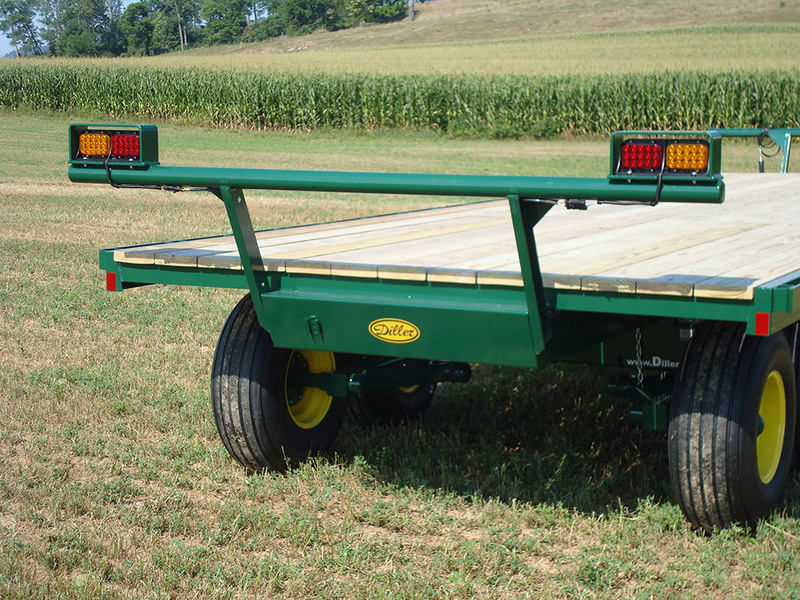 Diller's Heavy Duty Series of Flatbed Wagons will serve in many different capacities on your farm, ranch or even a commercial jobsite. 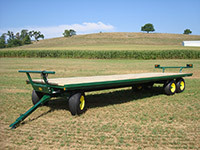 A flatbed wagon is in many ways the perfect wagon because of its versatility. Hay bales of any type can be hauled: large square bales, round bales and even accumulator stacked bales. A flatbed is also handy to have around for a barn building project or even just to stack equipment on. 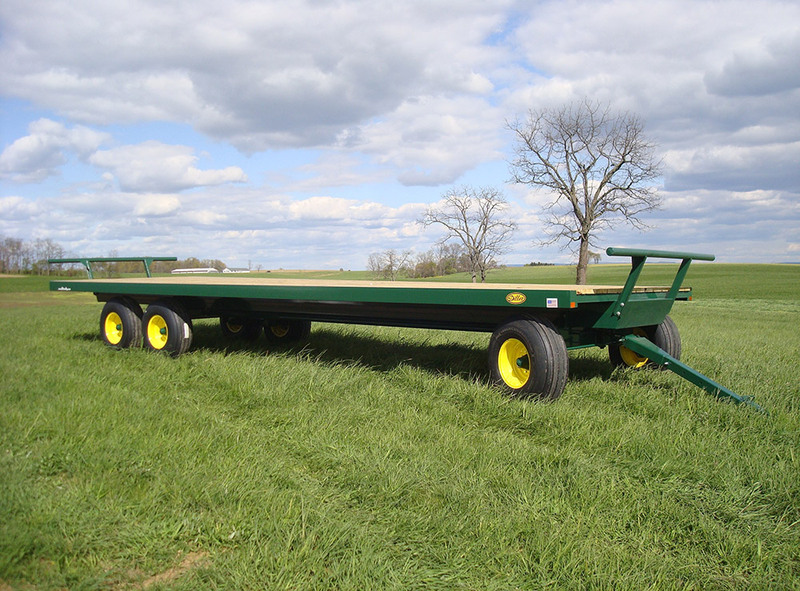 Diller Wagons have long been highly regarded for their durability and smooth trailing ride, the Diller Heavy Duty flatbed is no exception to the Diller Legacy of quality. 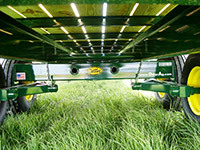 Most customers order front and rear bulkheads on their Diller Heavy Duty Series flatbed to keep the load from shifting under acceleration or braking. 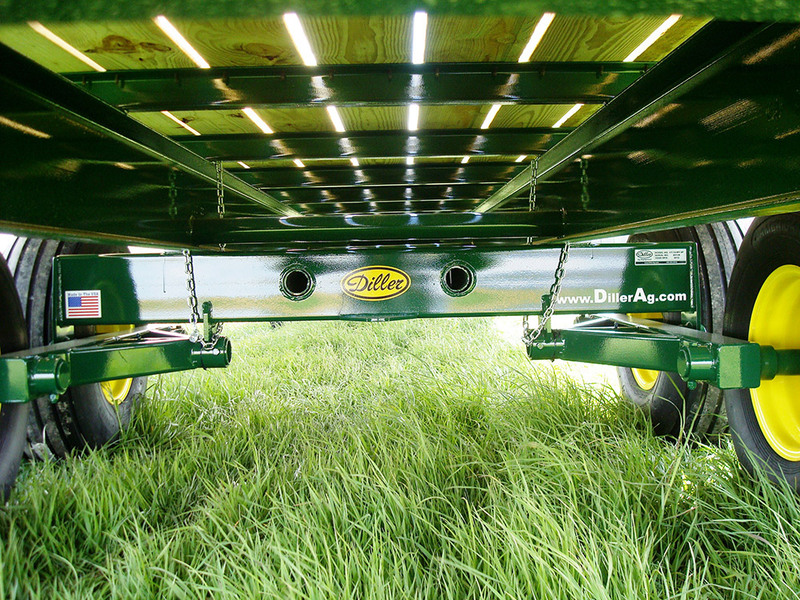 Safety upgrades, such as lights kits and brakes are becoming common on Diller Wagons today. 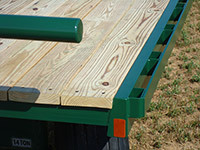 Another popular option is stake pocket rub-rail sides for securing straps, attaching 2"x4" high-sides or racks. Every Diller Heavy Duty Series Flatbed Wagon is constructed entirely from structural steel components, designed to distribute a heavy load evenly. Based on length and desired application, 8" or 10" structural channel or 12" I-beam frames are spaced 42" apart. A series of inside frame supports bridge the frame giving it torsional strength. Finally Front and rear bumpers formed from heavy 10 gauge steel tie the two ends together creating a rigid box frame. 3" or 4" structural channel crossmembers spaced every 24" span the decking sub-surface, evenly distributing stress from the deck to the frame. 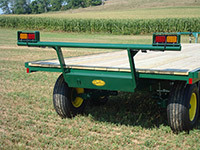 Every Diller HD Flatbed has a perimeter constructed of structural channel (6" or 8") adding an extra degree of strength and rigidity to the wagon. 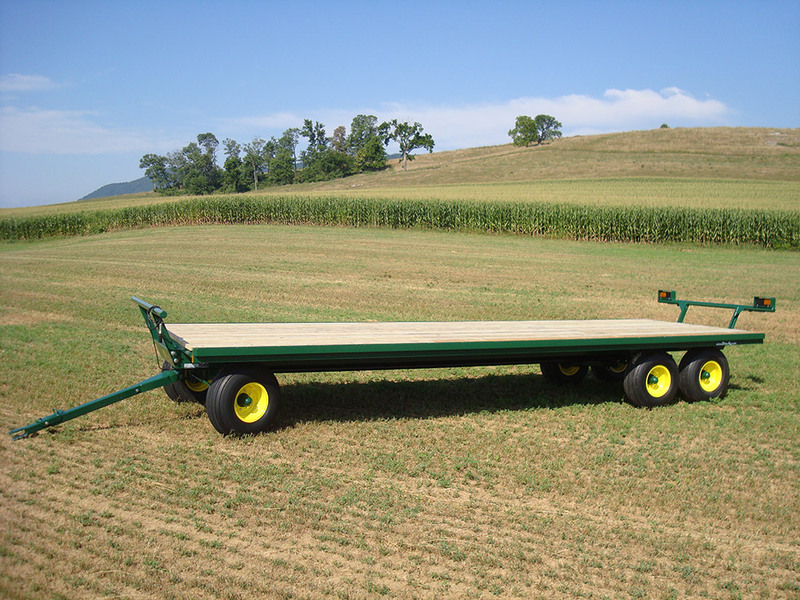 HD Series Flatbed Wagons can be ordered with plain sides or optioned with Heavy Duty Stake Pocket Rubrail running the length of the wagon and even wrapping around the front and rear ends. 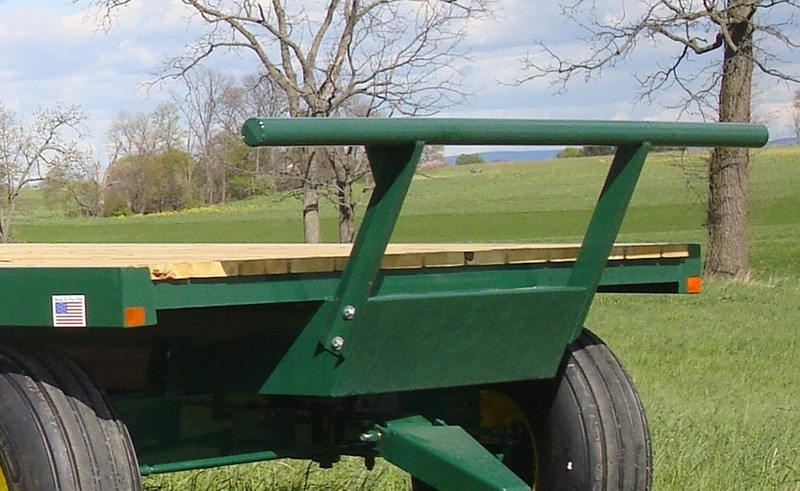 Pressure treated pine is the standard decking material on a Diller HD Flatbed, for those customers looking for a more durable, longer lasting decking surface we offer Oak as well as 4# steel grating (3x the strength of expanded metal) which will last the lifetime of the wagon.